More details on David Johnson‘s Cardinals contract are emerging. In addition to the fourth-year running back seeing $24MM in full guarantees as part of his three-year, $39MM extension, Johnson will receive a $12MM signing bonus, Dan Graziano of ESPN.com reports (Twitter link). His $5.7MM base salary in 2019 is fully guaranteed. The All-Pro’s 2020 base ($10.2MM) will have $5.1MM guaranteed fully at signing, per Graziano (on Twitter), but the other half of it is guaranteed for injury only. However, Johnson’s full 2020 salary becomes guaranteed if he’s on the Cardinals’ roster by March of 2019. Each of Johnson’s next three seasons include $750K in per-game roster bonuses. As far as cap numbers go, Johnson now has a $5MM hit this season. The former third-round pick will count $9.45MM against Arizona’s 2019 cap, $13.95MM in 2020 and $11.7MM in 2021, Graziano reports (Twitter link). 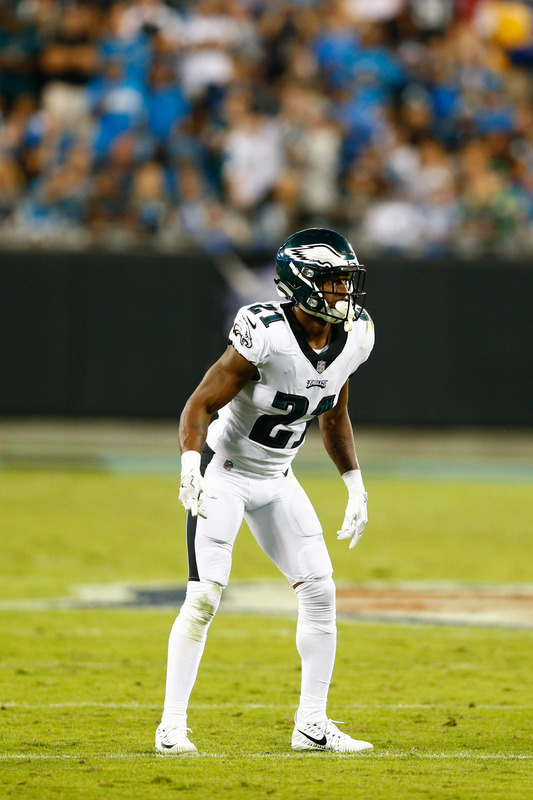 Here’s the latest out of the NFC, shifting toward its most important player. Aaron Rodgers missed Packers practice again on Thursday, but this wasn’t unexpected. However, Mike McCarthy said it’s no layup that his two-time MVP quarterback will play Sunday against the Vikings, per Tom Silverstein of the Milwaukee Journal Sentinel. Rodgers and McCarthy said Wednesday he does not need to practice in order to start Sunday. It keeps getting worse for the Panthers. After serious injuries hit Greg Olsen and Daryl Williams in Week 1, Pro Bowl guard Trai Turner is in concussion protocol, David Newton of ESPN.com notes. 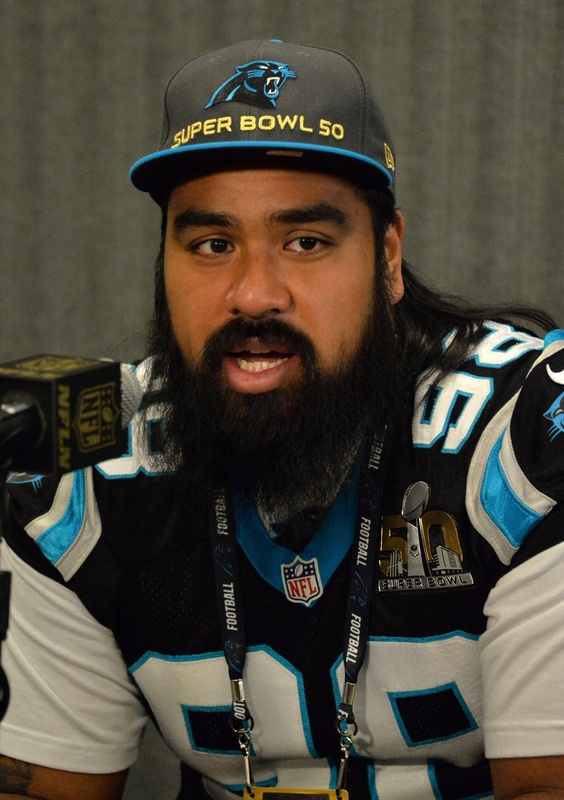 Both of Carolina’s starting tackles — Williams and Matt Kalil — are already on IR. Both can return after eight weeks, but at this point, it can’t be assumed both will be back. Carolina could lose a more important player to its cause. Only two players can be recalled from IR. Amini Silatolu filled in for Turner last season, but he may have to play right tackle Sunday. However, the Panthers added Chris Clark to potentially do that. In addition to Silatolu, Newton writes Tyler Larsen and rookie UDFA Brendan Mahon will have a chance to start in place of Turner — in the event he can’t go Sunday. Demario Davis rated as a top-10 Pro Football Focus linebacker last year, doing so for his work as an inside linebacker. It was expected the high-priced free agent would man the middle for the Saints, but they’ve moved him to the weak side, NOLA.com’s Josh Katzenstein notes. Second-year man Alex Anzalone is now stationed as New Orleans’ middle ‘backer, but the team rotated he, Manti Te’o and A.J. 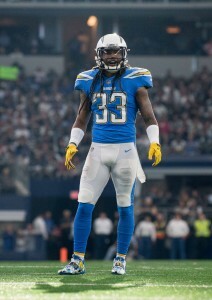 Klein as Davis sidekicks in Week 1. Sean Payton said the team’s still determining how it will structure its linebacker usage. Davis played all 66 snaps in the Saints’ loss to the Buccaneers, while Anzalone led the others with 34. Klein functioned in Davis’ role in 2017, playing all of the Saints’ Week 1 snaps in his first game with the team. Kirk Cousins, QB (Vikings): Three years, $84MM. Guaranteed salaries of $22.5MM, $27.5MM and $29.5MM. Guaranteed $500K workout bonuses each year. Up to $2MM in incentives per year. No-trade clause and a no-transition tag provision in 2021 (Twitter link via Dan Graziano of ESPN). 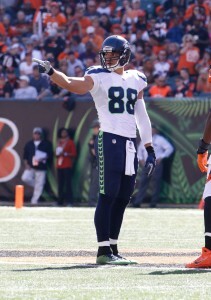 Jimmy Graham, TE (Packers): Three years, $30MM. $11MM signing bonus, $300K per-game roster bonuses each year. $2MM base salary in 2018, $3.45MM in 2019 and $7.45MM in 2020. $5.67MM 2018 cap number. $5MM roster bonus due on third day of 2019 season (Twitter links via NFL.com’s Tom Pelissero, ESPN’s Rob Demovsky and the Milwaukee Journal Sentinel’s Tom Silverstein). Demario Davis, LB (Saints): Three years, $24MM. $16MM guaranteed. $9.2MM signing bonus. Annual salaries of $850K, $5.95MM (guaranteed) and $7.35MM. (Twitter links via Graziano and Aaron Wilson of the Houston Chronicle). Jeremy Hill, RB (Patriots): One year, $1.5MM. $150K signing bonus. $1M base salary. (via Pelissero, on Twitter, and ESPN.com’s Mike Reiss). Bruce Ellington, WR (Texans): One year, $1.25MM. $730K base salary, $200K signing bonus (via Wilson, on Twitter). Free agent cornerback Dominique Rodgers-Cromartie says he’s in no rush to make a decision in free agency. Right now, he’s hoping to make a decision “in April sometime” (Twitter link via ESPN.com’s Josina Anderson). 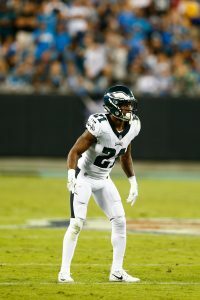 Rodgers-Cromartie visited with the Redskins and had a meeting scheduled with the Saints, but it seems that New Orleans lost interest after signing fellow corner Patrick Robinson. 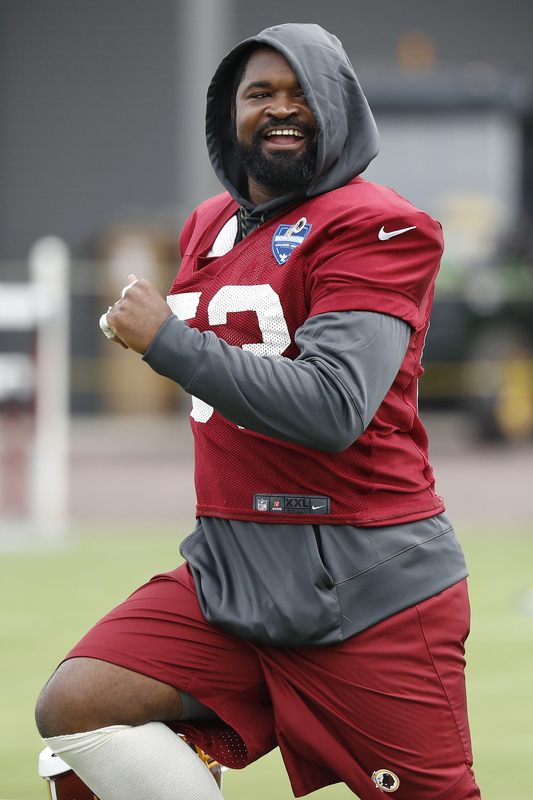 The Redskins could still use an addition to their cornerback group, but it’s possible that their offer was not to DRC’s liking. Or, perhaps no offer was made. Before he was released by the Giants, DRC reportedly agreed to play safety in 2018. That could be a solution for him if his market continues to stall. As teams try to hold onto their own players, two to watch: The Redskins are working to keep outside linebacker Junior Galette and the Seahawks are doing the same with cornerback Byron Maxwell, according to Ian Rapoport of NFL.com (on Twitter). We had Galette ranked as a top-12 edge rusher heading into free agency. 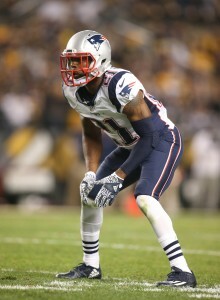 Maxwell did not make the top 15 at his position due to his decline in performance and the depth of this year’s CB crop. Linebacker Demario Davis says the Jets didn’t make him an offer before he signed with the Saints. 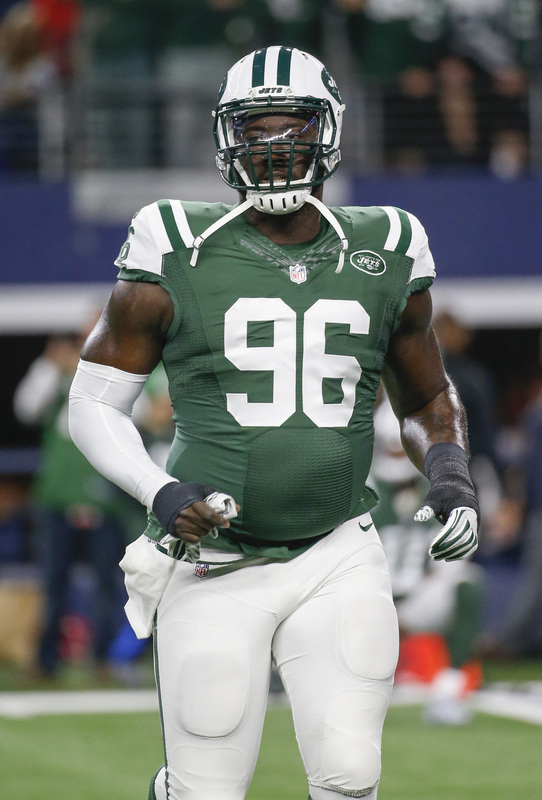 “The shocking thing was the Jets didn’t make me an offer, so that made my decision easy because all I had to do was look at the contenders,” Davis said (via Rod Walker of The Advocate). “It would have been something to weigh. The hardest decision isn’t where to go, but deciding if you want to go or stay. So I didn’t have to make that decision so that was the peaceful thing about it. I was able to just weight my options objectively.” Things worked out just fine for Davis as he signed a three-year, $24MM deal with New Orleans. 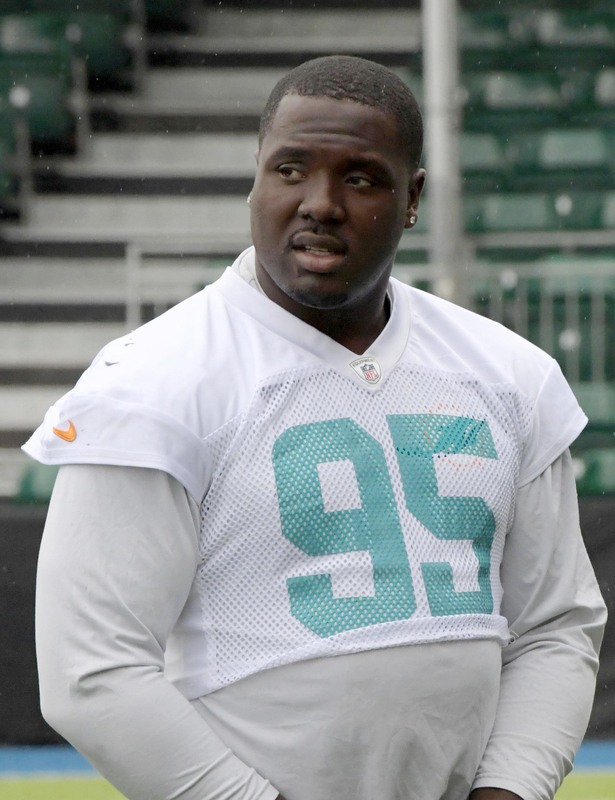 The Dolphins have been talking with agent Drew Rosenhaus about re-signing offensive tackle Sam Young, Armando Salguero of The Miami Herald tweets. 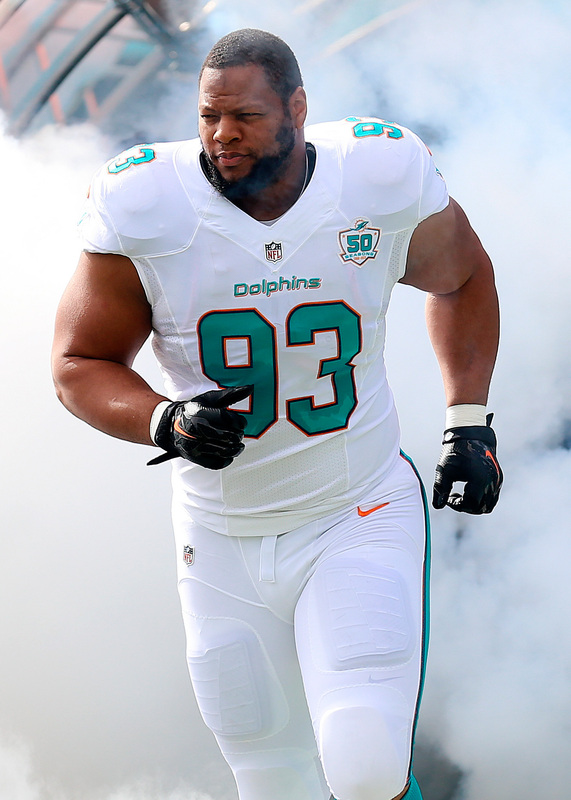 If retained, Young would return as Miami’s third offensive tackle. 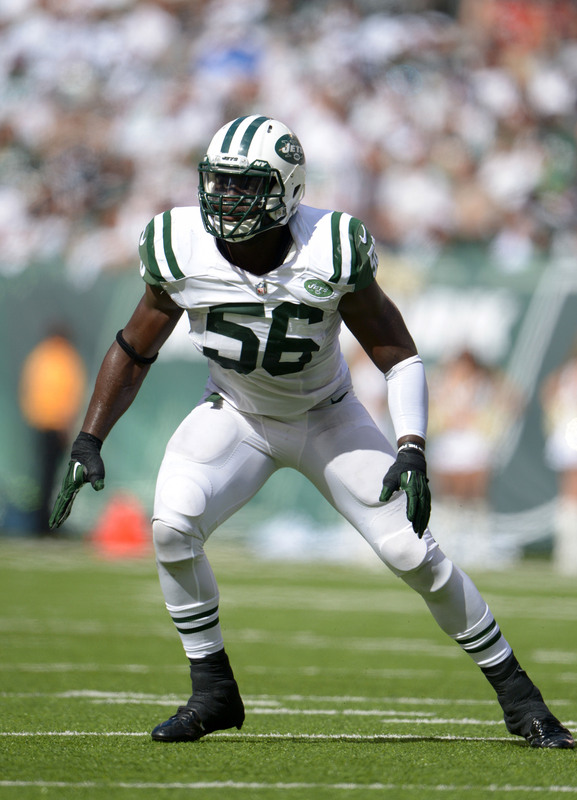 Demario Davis will head to New Orleans after a solid contract year with the Jets. The Saints have reached an agreement to sign Davis, Diana Russini of ESPN.com tweets. An off-ball linebacker, Davis will receive a significant raise compared to his last time on the market. The Saints have agreed to pay him $24MM over three years, per Russini, with $18MM coming in guarantees. This completes a turnaround year for Davis, who saw the Browns trade him back to the Jets last offseason. He then accepted a pay cut from the previous $4MM-AAV salary the Jets re-signed him for in 2016. But after a strong season that saw him grade (per Pro Football Focus) as the No. 8 pure linebacker in the game, Davis will receive his reward sum. The 29-year-old linebacker was targeting a deal worth $8-$10MM per year, but the Jets did not view him as a player worth that much. Gang Green saw Davis as more of a $3-$4MM-AAV performer, but with the cap rising to $177MM, most positions’ values are spiking. And Davis — who previously ranked as PFR’s No. 24 remaining UFA — was rewarded on the market. While the Jets seemingly replaced Davis with a younger defender in Avery Williamson, the Saints will add a proven, durable starter to their second level. Davis has never missed a regular-season game in his six-year career and has been a full-time starter since 2013. However, Davis has never played for a team that used a 4-3 scheme. He could be a fit at inside or outside linebacker, conceivably, on a Saints team that will surely find a starting spot for him given the contract authorized. Earlier this week, the Broncos were believed to be ready to compete to the end of the Kirk Cousins sweepstakes. 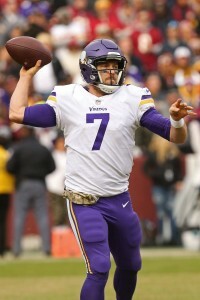 But last month, they were identified as having Case Keenum looming as a possible backup plan. There’s been more chatter about that in Indianapolis, Jason La Canfora of CBS Sports notes (on Twitter). While it’s unlikely the Broncos are ready to bow out on Cousins after being so closely connected to him for weeks, they’ve been the top non-Vikings Keenum connection this offseason. The Broncos also discussed a trade for Keenum with the Rams in 2016. La Canfora notes the Broncos being serious on Keenum could pit the Vikings and Jets against one another for Cousins. It’s possible the Broncos could sign Keenum and not select a quarterback at No. 5, and Mike Klis of 9News wrote recently Keenum and Cousins are likely to be the only QBs who would deter the Broncos from using that pick on a passer. 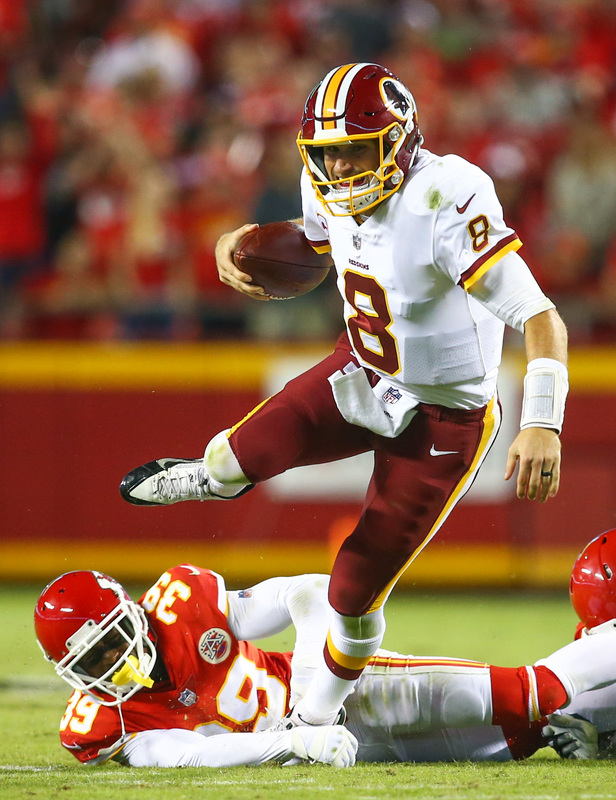 Charles Robinson of Yahoo sports, who reported earlier this week the Broncos were ready to go “all in” for Cousins, notes every team linked to the former Redskins quarterback has made it a point to stay in contact with agents of other passers in order to preserve fallback options (Twitter link). That said, Robinson does not believe the Broncos — or any team linked to Cousins thus far — is truly out on the 29-year-old signal-caller. Here’s more from the free agent market. Demario Davis enjoyed a solid contract year after an offseason trade with the Browns sent him back to the Jets, but he might be set to relocate again. A considerable gap between Davis’ expectations and the Jets’ valuation of him exists, with Rich Cimini of ESPN.com reporting Davis is eyeing a deal that would pay him between $8-$10MM annually. The Jets, conversely, see him as a $3-$4MM-per-year player and are not prepared to pay him what he’s currently targeting. Cimini notes that in a buyer’s market that has several younger non-rush linebacker options, Davis will have to adjust his price point. While the sides were talking earlier this offseason, this kind of gap could route Davis elsewhere. Although the 29-year-old inside linebacker had a strong 2017 season, he hasn’t been especially consistent. And only five 3-4 ILBs earn $8MM per year. Davis signed for $4MM per year with the Browns in 2016. Last offseason, Isaiah Crowell hired Drew Rosenhaus to negotiate with the Browns on an extension, but a deal didn’t come to pass. 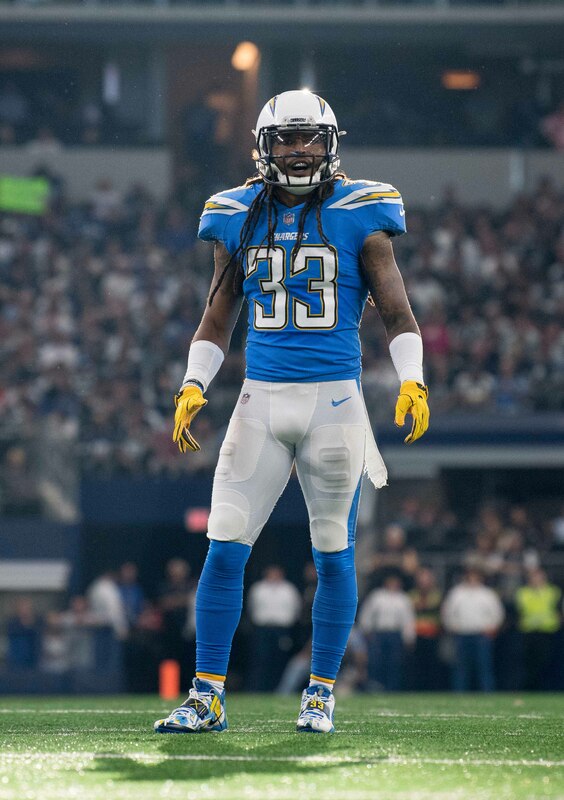 Not much has transpired on a Crowell/Cleveland future in recent months, but John Dorsey said he’s had discussions with Rosenhaus about keeping Crowell in the fold. However, Nate Ulrich of the Akron Beacon Journal notes Hue Jackson didn’t express much optimism about Crowell staying. The Browns are a prime candidate to draft Saquon Barkley, possibly at No. 1 overall, so that would make Crowell somewhat superfluous. The Giants have been open about wanting to commit to an offensive line overhaul and haven’t ruled out a 2018 line that includes Andrew Norwell and Justin Pugh. But they’re likely to lose D.J. Fluker, Tony Pauline of DraftAnalyst.com notes. Fluker has not enjoyed a particularly productive career, and Pro Football Focus graded him as one of the worst pass-blocking linemen last season. 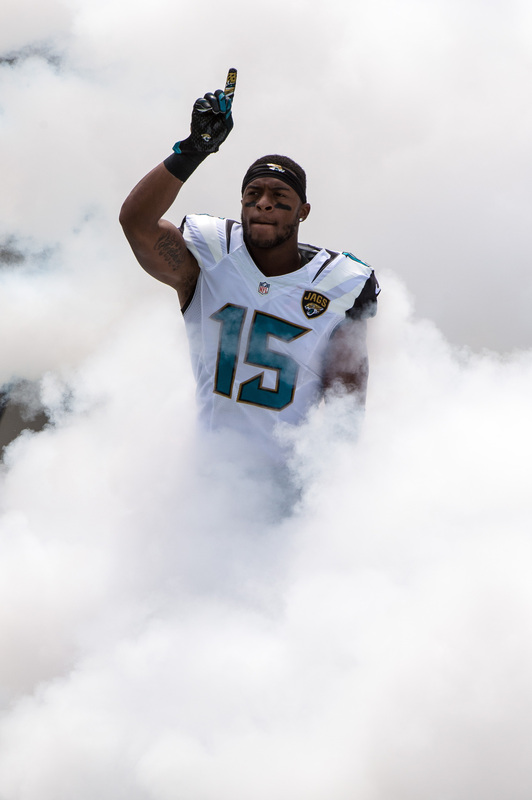 The former first-round pick wouldn’t cost much, but it looks like Dave Gettleman will move on. Should the Giants be priced out of the Norwell sweepstakes, they have Ryan Jensen lined up as a cheaper contingency plan, per Pauline. Jensen’s most prominent NFL work has come at center, where he started all 16 Ravens games last season, but he was a part-time guard starter in years past. PFF rated Jensen as a top-10 center last season. The Giants are expected to lose four-year starter Weston Richburg in free agency. Here’s the latest out of the East divisions, with six of these teams early in their offseasons and two preparing for divisional-round games while grappling with possible coaching staff defections. A Josh McDaniels/Giants union is at least a possibility, with Dave Gettleman and Co. interviewing the Patriots’ OC this week. But ESPN.com’s Dan Graziano does not foresee this hire happening, viewing McDaniels as likely to end up elsewhere and noting both he and the Giants might not be each other’s first choices (Twitter links). McDaniels has met with the Giants, Colts and Bears. Graziano speculates (via Twitter) the Colts are the likely frontrunners. Austin Seferian-Jenkins and Demario Davis look to be in the Jets‘ plans prior to free agency opening. The team has held discussions with Seferian-Jenkins about a re-up, Newsday’s Calvin Watkins notes, and wants to retain Davis. 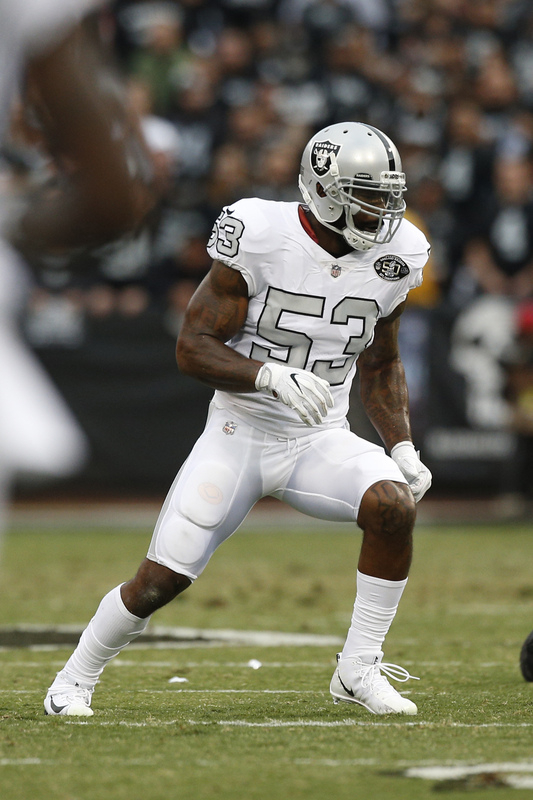 A Jet in five of his six NFL seasons, the soon-to-be 29-year-old linebacker could be in line for a significant pay bump come March after finishing the season as the NFL’s No. 8 linebacker, per Pro Football Focus. Davis, whom Watkins notes wouldn’t mind testing the market, took a pay cut prior to the 2017 season and earned just $900K in base salary. ASJ changed representation going into his UFA year. He caught a career-high 50 passes and gave the Jets a viable tight end weapon for the first time in years. 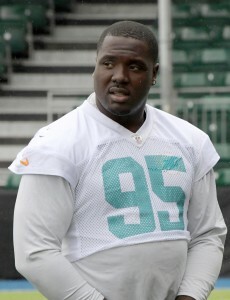 The Jaguars making the playoffs will slightly alter their trade for Marcell Dareus. The Bills received a conditional 2018 sixth-round pick for Dareus in the parties’ October trade, but now that the Jags ventured to the postseason, that pick will become a fifth-rounder, Ian Rapoport of NFL.com tweets. Should Matt Patricia be hired as Lions HC as expected, the Patriots will likely promote linebackers coach Brian Flores to defensive coordinator, Mike Reiss of ESPN.com writes. Flores drew interest as a DC candidate last year, per Reiss, and was mentioned in a 49ers search that ended with Robert Saleh getting the job. The 36-year-old Flores, who interviewed for the Cardinals’ HC job on Saturday, has been with the Patriots since 2004 and has been a position coach since 2012. The Giants have not hired a GM that didn’t have ties to the team since George Young in 1979, and Tom Rock of Newsday notes Kevin Abrams may be in line to succeed Dave Gettleman down the line. The newly hired general manager is 66 years old and kept the 46-year-old Abrams on as assistant GM while firing another Giants GM interviewee in Marc Ross. Abrams has been the Giants’ assistant GM for the past 16 seasons, serving in this post now through three GMs’ tenures. The longtime exec has been sitting in on the franchise’s HC interviews this time as well. Hue Jackson did not want to confirm a report that he and ousted executive VP Sashi Brown weren’t on speaking terms, but Mary Kay Cabot of cleveland.com reports the two had clashed on numerous occasions — and certain players were at the root of this friction. Carson Wentz, Marvin Jones, A.J. 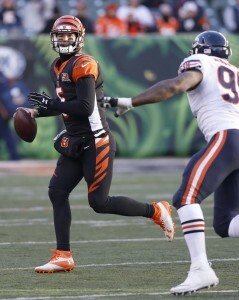 McCarron and Jimmy Garoppolo induced disagreements between the Browns’ power structure, as previously reported, but Cabot adds Jackson and Brown were at odds about the likes of Joe Haden, Demario Davis and Jeremy Maclin. Jackson wanted the Browns to sign Maclin, Cabot reports. They were loosely connected to the UFA wideout, but the Ravens, Bills and Eagles were well ahead of them. Jackson presumably wanted Haden to remain in Cleveland, but the Browns released him. Davis was also shipped back to the Jets and has enjoyed a productive season. Cabot also notes Jackson and Gregg Williams received pushback from some members of the front office in the Myles Garrett-vs.-Mitch Trubisky argument that transpired in April, with the coaches’ side winning out and Garrett being the pick. Here’s the latest on a busy day in Cleveland. Jimmy Haslam made this move Thursday in order to not fall behind on the GM carousel, Tony Grossi of ESPNCleveland.com reports, adding the owner saw the Giants taking an early lead by landing their former GM Ernie Accorsi to lead a search to replace Jerry Reese. Ownership was “adamant” not to fall behind in this pursuit, per Grossi. Matt Miller of Bleacher Report said during a radio appearance on 92.3 The Fan in Cleveland the early Brown firing was to get an early start on a John Dorsey push (Twitter link). The Browns do not have to wait until season’s end to interview Dorsey like they would an active exec, and Miller reports many believe he will be Cleveland’s next GM. Dorsey steered the Chiefs to three playoff berths in four seasons after taking over following a 2-14 season. Haslam was tinkering with the idea to make in-season changes for the past couple of weeks, Albert Breer of SI.com reports, noting the owner was considering bringing in a football voice to complement Brown rather than replace him. But after research, the owner decided to fire Brown and begin a search for his replacement. Both Breer and Grossi confirm the Thursday-afternoon report the Browns are going after Dorsey. Grossi reports Dorsey has been “endorsed heartily” by at least one of the football execs with whom Haslam’s already consulted. Breer notes a Dorsey/Jackson arrangement makes more sense than Brown/Jackson, with the ex-Chiefs GM’s scouting background aligning more with Jackson’s admitted old-school approach to football development. That, and not necessarily his impressive work in Kansas City, made him a key name to watch in Cleveland, Breer notes. A Dorsey hire could well mean a more prominent role for ex-Colts GM Ryan Grigson, Grossi writes. Grigson’s currently working as a senior personnel exec, with an emphasis on scouting. Dorsey and Grigson’s friendship and mutual respect would stand to lead to a better title for the since-fired Indianapolis decision-maker. The Browns’ decision to part with Brown and not Jackson could lead to an increased interest in Josh Rosen. Miller notes. Jackson likes the UCLA quarterback as a prospect, with a source informing the draft-based reporter Rosen is “Jackson’s guy.” Rosen seems more certain to declare for the 2018 draft than Sam Darnold at this juncture.